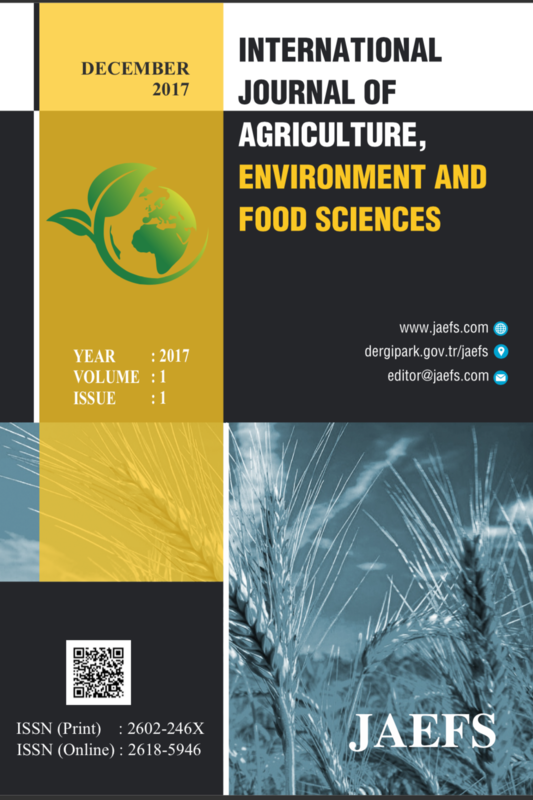 This study sought to assess the challenges and opportunities that come with climate change and variability impacts on maize farming in the Nkoranza South Municipality in the Transitional Zone of Ghana. The mixed method approach was used in collecting the data. The results of the study showed that farmers had observed changes in climate in the form of decreasing rainfall, rising air temperatures and seasonal changes in rainfall pattern which were affecting their maize farming operations. The major setbacks within the area were deficit in rainy days and intermittent erratic rainfall affecting maize production. The reduction in rainfall was corroborated by data obtained from Ghana Meteorological Agency (GMet) which indicated that the dry cell between the major and minor rainy seasons was getting wetter and the two seasons were gradually merging whereas the first and last quarters of the year were getting drier for a couple of decades. The situation over the last five years had worsened as the amount of total rainfall had reduced by 22% compared to the 30year period between 1960 and 1982. The major opportunity available to farmers in the face of changing climate in this agroecological zone was cashew production. About 76.8% of the respondents had diversified into cashew farming. Badu-Apraku, B., Hunter, R.B., & Tollenaar, M. (1983). Temperature effects on maize grain filling. Canadian Journal of Plant Science, 63: 357-363. Environmental Protection Agency, Ghana (EPA) (2000). Climate change vulnerability and adaptation assessment of coastal Zone of Ghana. Final report. Accra: Ministry of Environment Science and Technology. Environmental Protection Agency, Ghana (EPA), (2009). Ghana’s national climate change adaptation strategy. Zero draft. Accra: Ministry of Environment Science and Technology. Ghana Districts, (2007). District Profiles. http://www.ghanadistricts.com. Khan, H., & Ali, F. (2013). Measurement of Productive Efficiency of Tomato Growers in Peshawar, Pakistan. Agric. Econ. CZECH, 2013, 59, No. 8, p. 381–388. ISSN 0139-570 X.
Kyekyeku Nti, F. (2008). Climate Change Vulnerability and Coping Mechanisms among Farming Communities. MSc Thesis, Department of Agricultural Economics College of Agriculture, University of Ghana, Legon. Lobell, D.B., Burke, M.B., Tebaldi, C., Mastrandrea, M.D., Falcon, W.P., & Naylor, R.L. (2008). Prioritizing climate change adaptation and needs for food security in 2030. Science, 319, 607–610. Ministry of Food and Agriculture (MoFA), (2003). Agriculture in Ghana: facts and figures. Produced by the Statistics, Research and Information Directorate. Accra. http://www.fao.org/docrep/008/a0013e/a0013e05.htm cited on 12th March, 2013. Owusu, K., & P. Waylen. (2009). “Trends in spatiotemporal variability in annual rainfall in Ghana (1951– 2000).” Weather 64(5): 115–120. Owusu, K., Waylen, P., & Qiu, Y. (2008). Changing rainfall inputs in the Volta basin: implications for water sharing in Ghana. GeoJournal, 71, 201–210. Statistics, Research and Information Directorate (SRID), (2010). Agriculture in Ghana (2009). Facts and figures. Ministry of Food and Agriculture. Accra, Ghana. Available from http://www.mofa.gov.gh/AGRICULTURE%20IN%20GHANA%20%202009.pdf, (accessed 14th April, 2011). WABS Consulting, (2008). Draft Report: Maize value chain study in Ghana: Enhancing efficiency and competiveness. WABS Consulting Ltd. Accra. Yaro, J. A. (2010). The Social Dimensions of Adaptation to Climate Change in Ghana. The World Bank Discussion paper no.15. Washington: The World Bank. Yaro, J. A., Dogbe, T. D., Bizikova, L., Bailey, P., Ahiable, G., Yahaya, T., & Salam, K. A. (2010). Development and Climate Change: The Social Dimensions of Adaptation to Climate Change in Ghana. Discussion Paper Number 15,14th December 2010. Washington, DC; World Bank.